Fidelity Investments is a leading provider of investment management, retirement planning, portfolio guidance, brokerage, benefits outsourcing and many other financial products to a diverse set of customers: from 23 million people investing their own life savings, to 20,000 businesses needing help managing their employee benefit programs to 10,000 advisors and brokers needing technology solutions to invest their own clients’ money. Founded in 1946 and headquartered in Boston, Fidelity employs over 40,000 people with several regional centers across the United States and Canada. As of June 30, 2014, the company held assets under administration of $4.9 trillion, including managed assets of $2.0 trillion; it is one of the largest mutual fund companies in the U.S. and the No. 1 provider of both workplace savings plans and Individual Retirement Accounts (IRAs). F-Prime Capital is a global venture capital firm investing in healthcare and technology. Our roots are in one of America’s great entrepreneurial success stories, Fidelity Investments. For the last forty years, our venture capital firm has had the privilege of backing other great entrepreneurs as they built ground-breaking companies in technology and healthcare, including Atari, MCI, Alibaba, Cloudant, Kensho, Future Advisor, Ironwood Pharmaceuticals, and Ultragenyx. Please follow us at www.fprimecapital.com and @FPrimeCapital. Refinitiv is the world’s leading source of intelligent information for businesses and professionals. We combine industry expertise with innovative technology to deliver critical information to leading decision makers in the financial, legal, tax and accounting, healthcare, science and media markets, powered by the world’s most trusted news organization. Whether you are just starting your academic research, an experienced researcher or teacher, or a librarian or administrator, we deliver objective content and the tools to support your role in the research workflow. Learn how Refinitiv can help you discover and analyze data, track and measure trends and performance, and collaborate and publish research. Empowering Innovation is the competitive advantage in an ever-changing marketplace. At Thomson Reuters, we enable our customers to succeed because supporting innovation is at the core of everything we do. 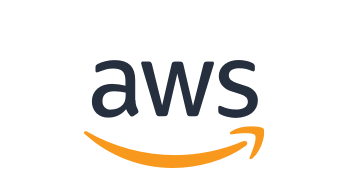 Today, Amazon Web Services provides a highly reliable, scalable, low-cost infrastructure platform in the cloud that powers hundreds of thousands of businesses in 190 countries around the world. With data center locations in the U.S., Europe, Singapore, and Japan, customers across all industries are taking advantage of our low cost, elastic, open and flexible, secure platform. For 45 years Intel has been inventing, pioneering and producing microprocessor technology for the modern world, and 2013 was no different. A smart evolution is underway and Intel technologies — in massive data centers, sleek 2 in 1 devices and portable all-in-one computers, phones and tablets, and the tiniest sensors — are shaping an era when everything computes and connects, from automobiles and vending machines to automated factories and cities. Franklin Resources, Inc. [NYSE:BEN] is a global investment management organization operating as Franklin Templeton Investments. Franklin Templeton Investments provides global and domestic investment management to retail, institutional and sovereign wealth clients in over 170 countries. Through specialized teams, the company has expertise across all asset classes—including equity, fixed income, alternative and custom solutions. The company’s more than 650 investment professionals are supported by its integrated, worldwide team of risk management professionals and global trading desk network. The California-based company has offices in over 30 countries and 70 years of investment experience. For more information, please visit franklintempleton.com. State Street Corporation (NYSE: STT) is one of the world's leading providers of financial services to institutional investors, including investment servicing, investment management and investment research and trading. With $27.78 trillion in assets under custody and administration and $2.3 trillion* in assets under management as of June 30, 2016, State Street operates in more than 100 geographic markets worldwide, including the US, Canada, Europe, the Middle East and Asia. For more information, visit State Street’s website at www.statestreet.com. * Assets under management were $2.30 trillion as of June 30, 2016. AUM reflects approx. $40 billion (as of June 30, 2016) with respect to which State Street Global Markets, LLC (SSGM) serves as marketing agent; SSGM and State Street Global Advisors are affiliated. Goodwin Procter LLP is a national law firm with a growing international presence. With offices in Boston, Hong Kong, London, Los Angeles, New York, San Francisco, Silicon Valley, and Washington, D.C., we work closely with clients to advance business objectives in the U.S. and abroad. At Goodwin Procter, you'll find a collective determination and an entrepreneurial spirit. We're business-oriented lawyers equally comfortable in the boardroom and the courtroom. While we handle some of the largest cases on record, we also work with individuals and investors leading the way in new technologies and markets. We advise multinational companies on public/private enterprises and help emerging companies grow. From critical regulatory and compliance matters to deals, transactions, and high-stakes litigation, we're prepared to do what it takes to defend and protect our clients' interests.